Oh boy do I love traveling in the passenger seat. 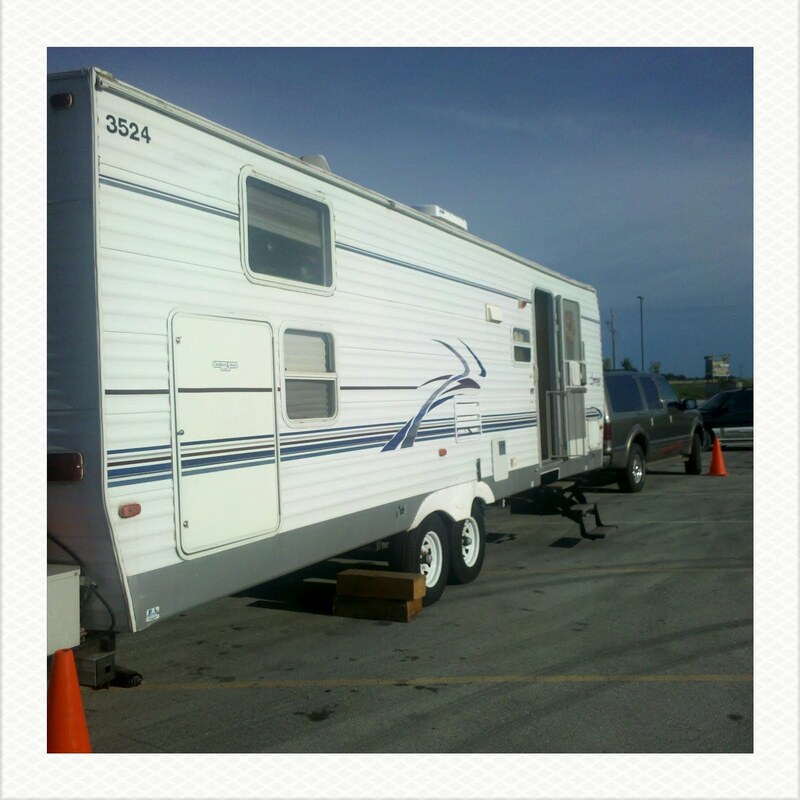 Handing out snacks, changing dvd's, paying bills, researching our next stops, playing on Facebook, singing with the kids...this is the way to travel. 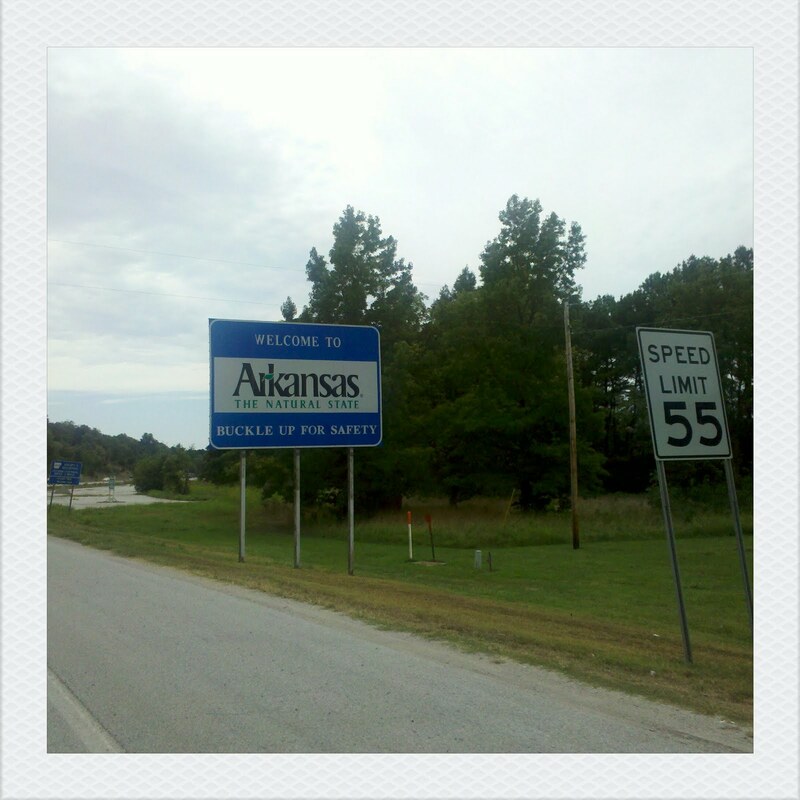 We left St. Louis and headed towards Arkansas. When we pulled off the highway to eat dinner and we realized we had a blown out tire. 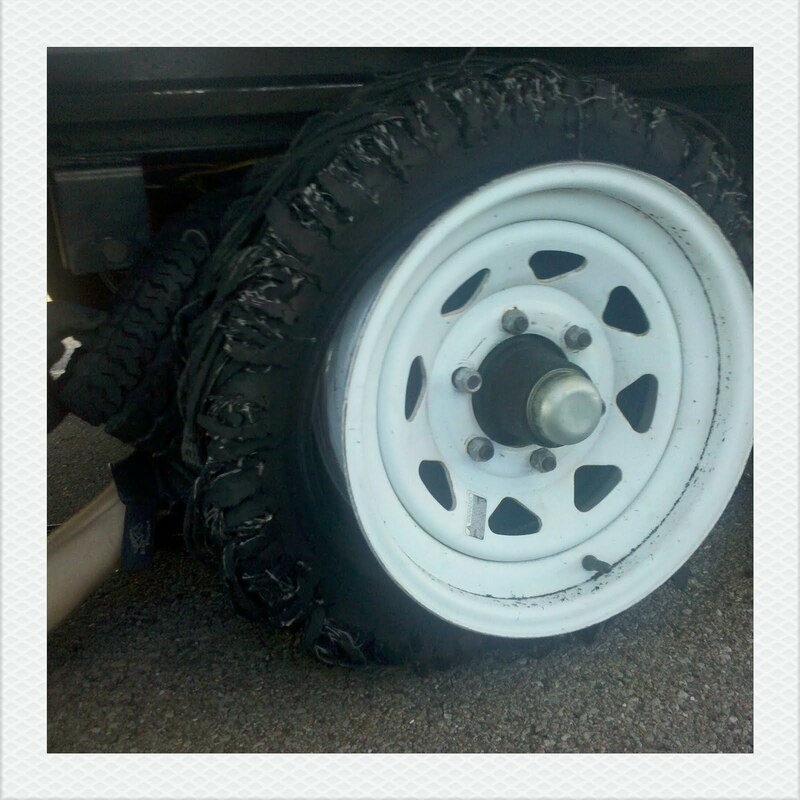 Nick is becoming a pro at this tire changing business, we had another blow out in Colorado in June. 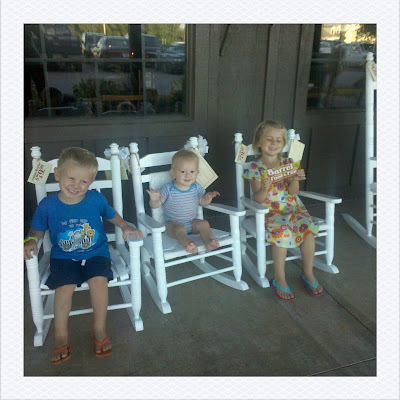 While Nick changed the tire, I entertained children in rocking chairs and monster sized checkers outside Cracker Barrel. Made it to Arkansas, stopped for a picinc lunch outside the headquarters for Nick's job, while he had a meeting with the big guys. 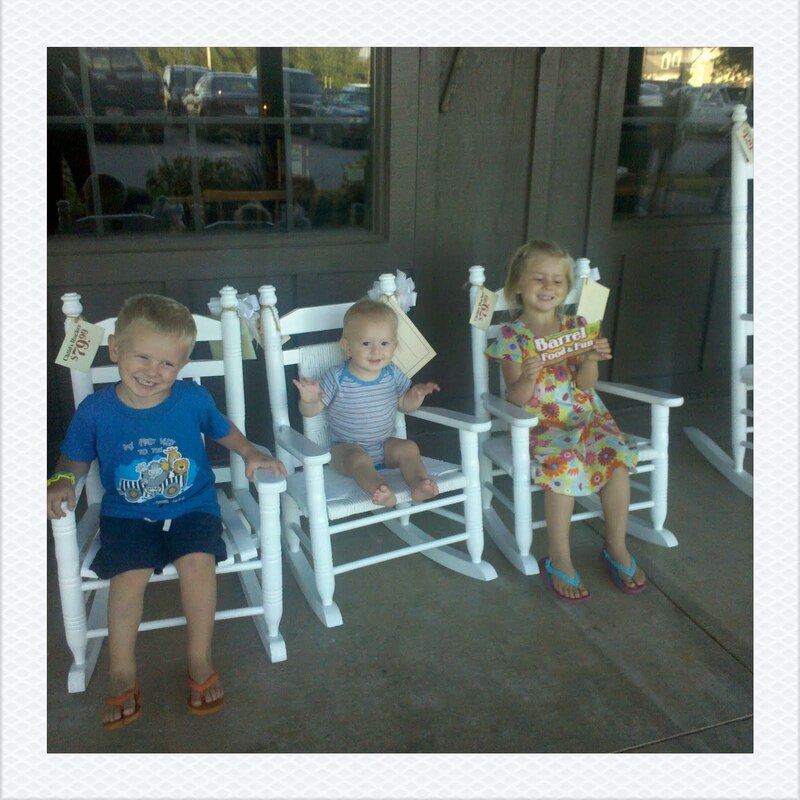 We were in need of some down time, so we headed to the Alma-Fort Smith KOA. 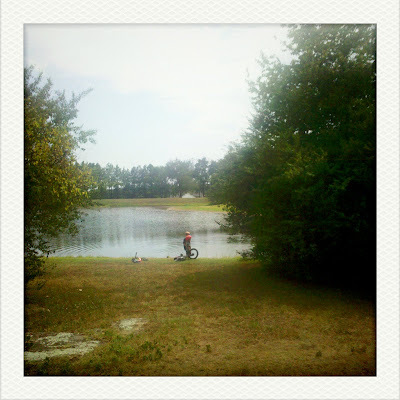 The customer service was yucky but the campground was beautiful, a huge pond, 30 or so ducks, a few ducklings, salt water pool, lots of trees and quiet, ahhh quiet. We have spent the last two months in an RV Park right next to a highway, so in the middle of nowhere quiet was glorious. Nick & I even snuck outside for a bit after the kids went to bed to enjoy the quiet (& some ice cream). Photos from Missouri & Arkansas ~ Heading West to Arizona here. More photos will be added when I have enough service to actually upload a photo :) For now we'll have to deal with DROID phone photos. Gorgeous! You take everything in stride! I LOVE that! You are a great MOM!